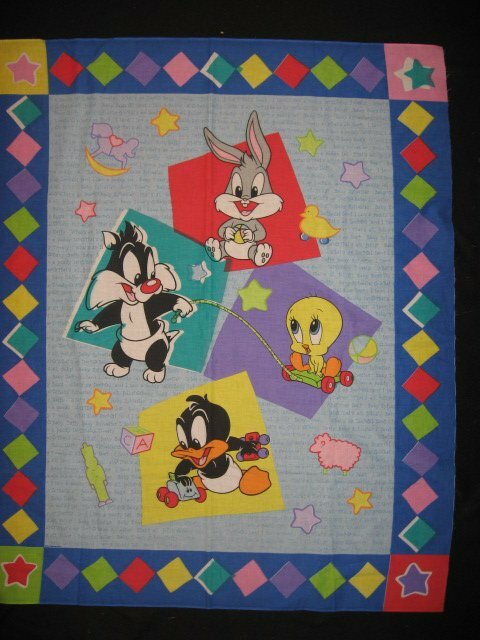 A delightful, colorful Baby Looney Tunes throw crib panel or wall quilt panel fabric to sew. 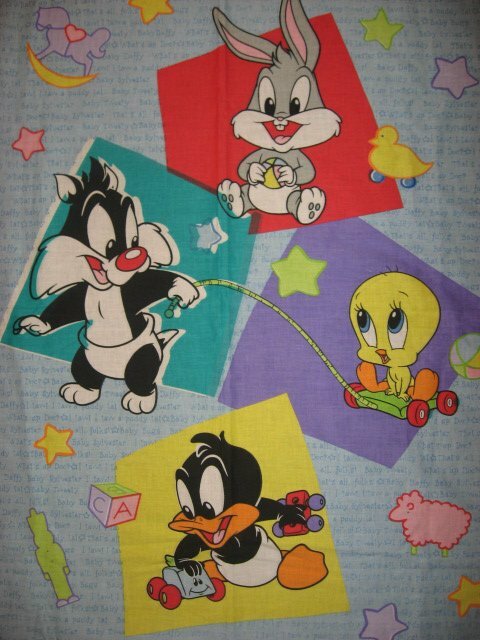 This beautiful new, 100% cotton fabric depicts: Baby Looney Tunes. Pretty primary colors with diamonds and stars in the border.